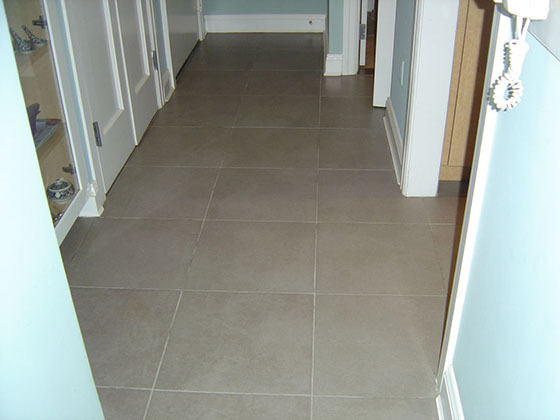 This image of the tile and grout floor was taken upon arrival at our client’s NYC home, before any work was done. This image was taken after the tile floor was deep cleaned and sanitized. This image was taken after the color sealer had been applied to the grout lines. 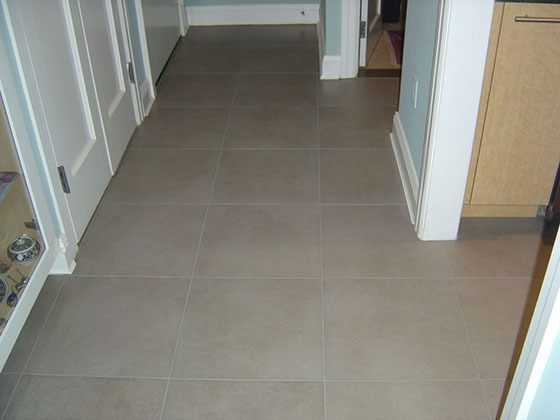 As you can see, the grout lines, although completely clean, had a blotchy appearance due to permanent staining. The homeowners wanted to avoid the expense of having their grout replaced, so we recommended color sealing. Color sealing is an excellent option for home or business owners looking to give their grout a perfectly uniform look or looking to change the grout color entirely, even from dark to light. Our color sealing services made a dramatic and lasting difference in the appearance of this floor. To learn more, visit our Grout Sealing and Grout Color Sealing page. 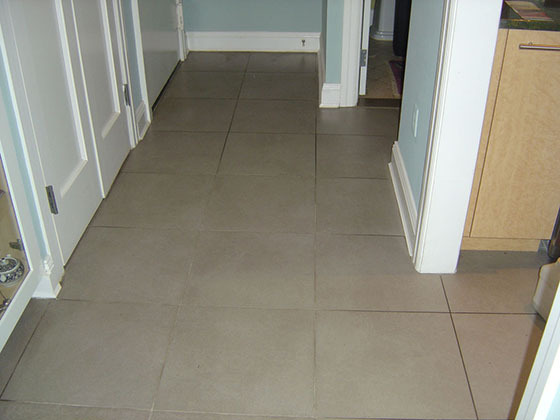 Are you looking for tile and grout restoration services in the NYC | NJ | CT area? Contact us online or call us at 212-777-4040 | 718-776-3564 | 516-377-0993 for a FREE estimate on tile and grout deep cleaning and color sealing services.